Want to meet C. S. Friedman? Hear her read excerpts from her newest works? Buy her latest book and get it signed by her? You’ll find all the latest on news and events for Celia here. 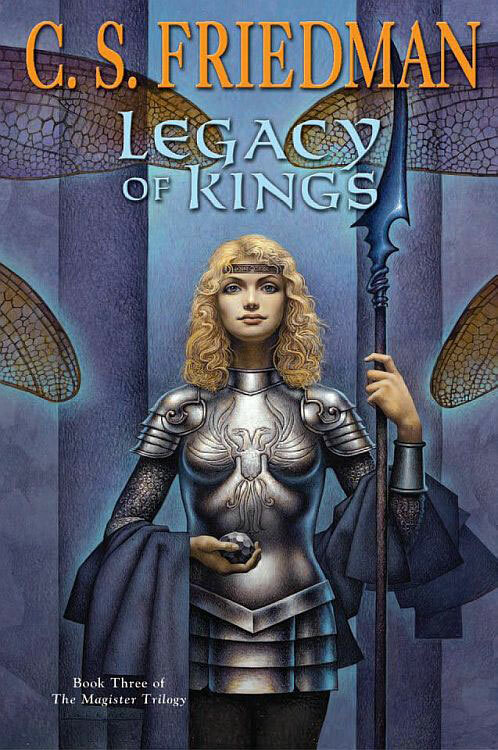 Legacy of Kings, the final volume of The Magister Trilogy, will be released in mass market paperback on Sept. 4, offering readers the chance at last to complete the trilogy with matching Palencar covers. Four hundred years after mankind’s arrival on Erna, the undead sorcerer Gerald Tarrant travels north in search of a legend. For it is rumored there is a forest where the fae has become so powerful that it devours all who enter it, and he means to test its power.